A recent corporate survey reported in Insurance Journal suggests that reputation is the hardest risk to manage. The survey indicates that 81% of companies see reputation as their most significant asset but are challenged in knowing how to protect it. Warren Buffett famously said, “It takes 20 years to build a reputation and five minutes to ruin it”. So how can organization’s avoid those fateful five minutes? Assessments can be a great tool to mitigate risk to reputation. I’d like to share some ideas on this from my Questionmark colleagues, Eric Shepherd and Brian McNamara. 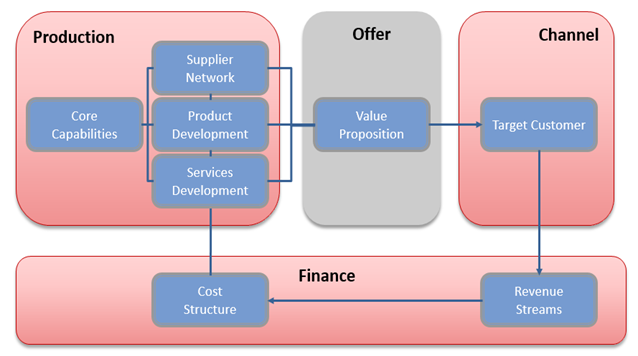 Let’s start by considering the classic business model shown in the diagram below. 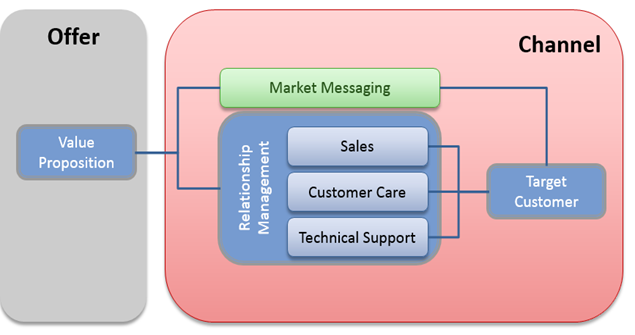 A company uses its core capabilities in Production with a supplier network and product/services development to make an Offer to its customers, which it communicates via a sales and marketing Channel, with a supporting Finance structure. The pink shaded areas in the diagram are where there is reputation risk. If you make mistakes within Production – in regulatory compliance, processes & procedures or health & safety – this can seriously hurt your reputation. Errors in regulatory compliance or failing to follow processes & procedures can similarly damage reputation in Finance. Assessments can help by confirming health and safety, checking the competence of employees and testing knowledge of processes & procedures. Many companies have a bigger challenge in the sales and marketing Channel, as this is more spread out and harder to control. You have to comply with laws on how you sell, both industry-specific and general ones like anti-corruption. The people in your Channel must have product/solution knowledge. And reputation is hurt by overselling and unsatisfied customers. How can assessments help with reputation challenges in the Channel? When you message your customers, there is a risk that your messaging is inappropriate or that messages do not resonate. Most organizations assess customers with surveys to determine if they are “getting it”. You need your sales people, whether in-house personnel or partners, to comply with laws and avoid corruption. They need to ensure your customers are satisfied, by selling fairly and not using trickery. Online quizzes and tests are great ways to check your sales people know all the rules and are competent to sell. Observational assessments using tablets or smartphones also let supervisors check team members. In customer care, a challenge is high staff turnover, requiring lots of training. As in sales, the customer care team need product and process knowledge and need to satisfy customers. Quizzes and tests motivate learning, maintain focus and enable recognition of people who “get it”. Lastly, every company has challenges when products or services don’t work. How you deal with problems impacts your reputation. The challenge for technical support is to delight the customer and fix problems on first call. Quizzes and tests are useful in technical support, but something that works really well for technical teams is a certification program. Skills and knowledge required are often complex, and using assessments to certify gives technical support teams career progression. It also encourages pride in their jobs, leading to better employee retention and better service. I hope this article helps you realize that online assessments help solve one of the biggest challenges facing business – mitigating risk to reputation. 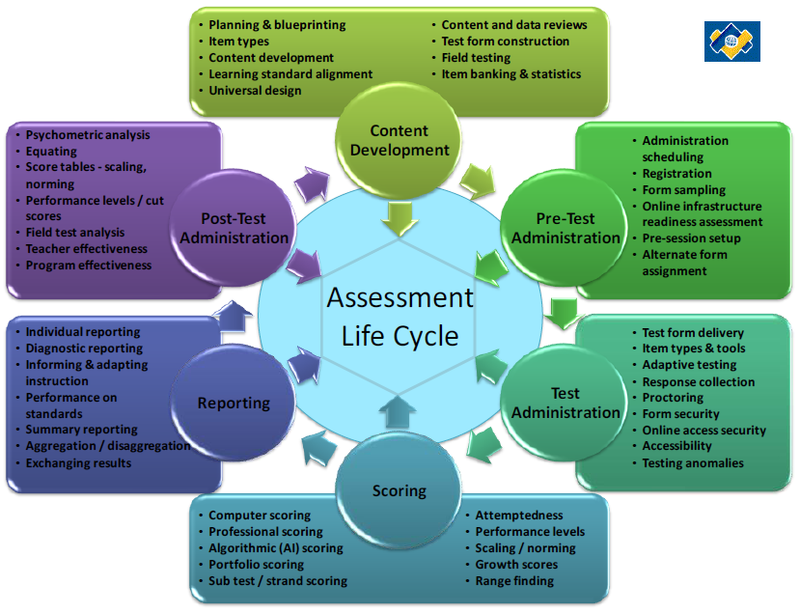 Next time you are making an internal case for online assessments, consider whether your senior management might find reducing reputation risk a compelling reason to deploy assessments. There can be lots of worry and planning around assessment security, but there’s not a one-size-fits-all solution. The Fraud Triangle described by criminologist Donald Cressey provides a useful lens for identifying security threats and understanding how to deal with them effectively. The diagram below shows the key issues in fraud. In order for someone to commit fraud (e.g. cheat at a test), he or she must have Motivation, Opportunity and Rationalization. Understanding the stakes of assessments is key to determining motivation and therefore the appropriate level of security for it. For example, if an employee’s promotion is at stake, then the risk of fraud is higher than if the individual were simply taking a low-stakes survey. 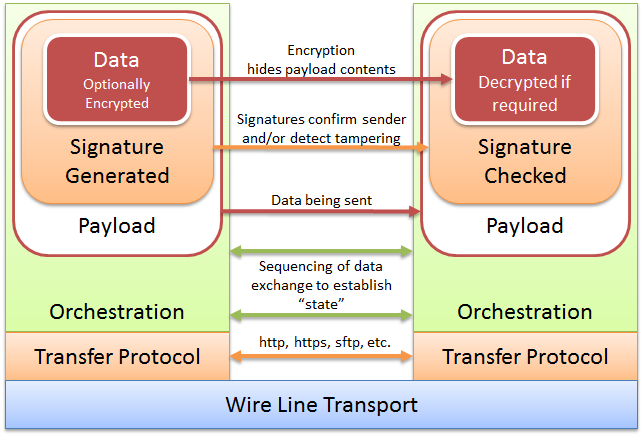 So it’s important to evaluate the risk before deciding the measures to take and to apply security where the risk is higher. 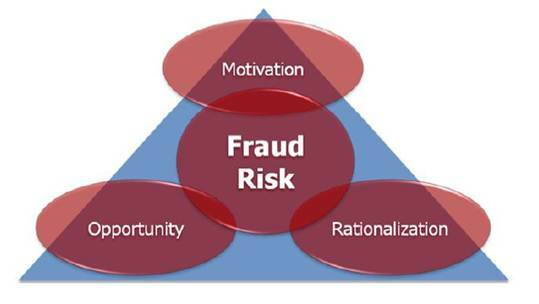 For a fuller description on The Fraud Triangle, see Questionmark CEO Eric Shepherd’s blog articles: Assessment Security and How to Reduce Fraud and Oversight Monitoring and Deliver of Higher Stakes Assessments Safely and Securely. Another good source of information, particularly in the context of compliance, is our white paper: The Role of Assessments in Mitigating Risk for Financial Services Organizations. You can download it free here, after login. 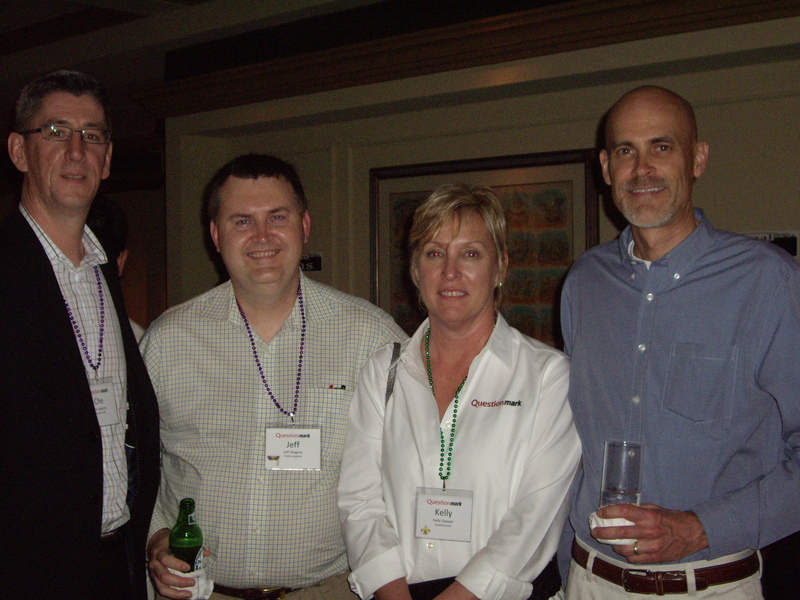 I’m just back from the 2012 Questionmark user conference in New Orleans “the Big Easy”. This is our second user conference in New Orleans – we were there in 2005, and it was great to re-visit a lovely city. Here is some of what I learned from Questionmark customers and speakers. Most striking session: Fantastic to hear from a major US government agency about how they deployed Questionmark to do electronic testing after a long history of 92 years of paper testing. The agency have a major programme – with 800,000 items and 300,000 test takers. I hope to cover what they are doing in a future blog post. Most memorable saying: Bill Coscarelli (co-author of Criterion-Referenced Test Development) noting that in his huge experience, the two things in testing that really make a difference are “test above knowledge” and “Use the Angoff method to set a cut/pass score for your tests”. Meeting a hero: You’ll have seen me writing on this blog about the Bruce C. Aaron’s A-model and it was great to meet Bruce in person for the first time and hear him talk so intelligently about the A-model as a way of measuring effectiveness of training – starting from a business problem. Most fun time: Got to mention the amazing food in New Orleans – especially the catfish and the oysters. But the highlight was being part of a parade down Bourbon Street with a marching band, all the Questionmark conference attendees and a full New Orleans ensemble. Best conversation: Discussion with a user who’d come to the conference uncertain that Questionmark was the right system for them, but realized on talking to other customers and the Questionmark team that they were only using 10% of what Questionmark could offer them, and left the conference enthused about all they would do going forward. Session I learned most from: a security panel chaired by Questionmark CEO Eric Shepherd with executives from Pearson Vue, ProctorU, Innovative Exams and Shenandoah University. There was a great discussion about the advantages of test center delivery vs remote proctoring. Test center delivery is highly secure, but testing at home with a remote proctor observing by video link is very convenient, and it was great to hear real experts debating pros and cons. Most actionable advice: Keynote speaker Jane Bozarth: “what you measure is what you get”, a reminder that what we do with measurement will define behavior in our organization. It was great to spend time with and learn from customers, partners and our own team. Look forward to seeing many of you again in the 2013 Questionmark user conference in Baltimore Inner Harbor in March 3-6 2013. Eric regards technology as crucial to turning us away from the formal, academic learning model (reliant on hard-to-find content such as books stored in libraries) to learning that is more personalized, accessible and shareable. This change will rely on learning content that is available and discoverable, inter-system data sharing that allows personalization and data flows that keep stakeholders engaged. 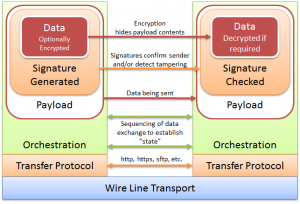 The creation of registries that make learning resources easier to find and share. There’s a lot more detail in Eric’s post, so click here to read the whole article.. If this and other topics about assessment and learning interest you, check out Eric’s blog.